Those years weren’t spent in some sort of sweatshop slavery. Instead they were spent working for one company, Glencore, which was one of the earliest pioneers, back in the 1970s, of freely trading oil as a commodity. Now it’s a massive multinational PLC but back then it was where people worked hugely hard with vast responsibilities and who were rewarded in equal measure. It had a loose management structure that encouraged people to think for themselves and to have a work ethic that’s been copied many times since. He did those things, took on a couple of consultancies, kicked back. But one of the things he did was he continued with his love affair with triathlons. He’d done some running in Singapore but duly picked up related injuries. But in his mid-40s he got invited to do a triathlon. He loved the cycling, but you can cycle all round the perimeter of Singapore relatively easily They used to simply go clockwise one week, counter the next. Then a friend had an idea. Athletes and serious sports people love data. 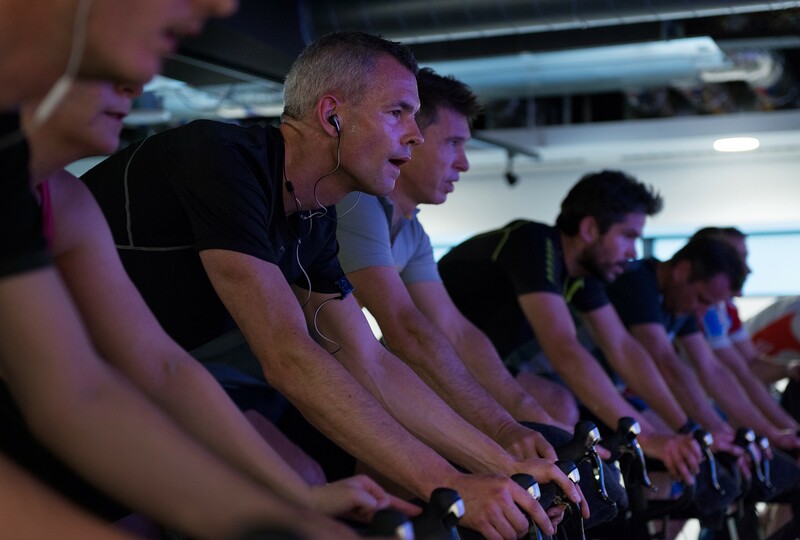 If they didn’t want to just cycle around then they could go to the many spin studios, but a spin bike doesn’t exactly replicate the movements and stresses of a road bike. 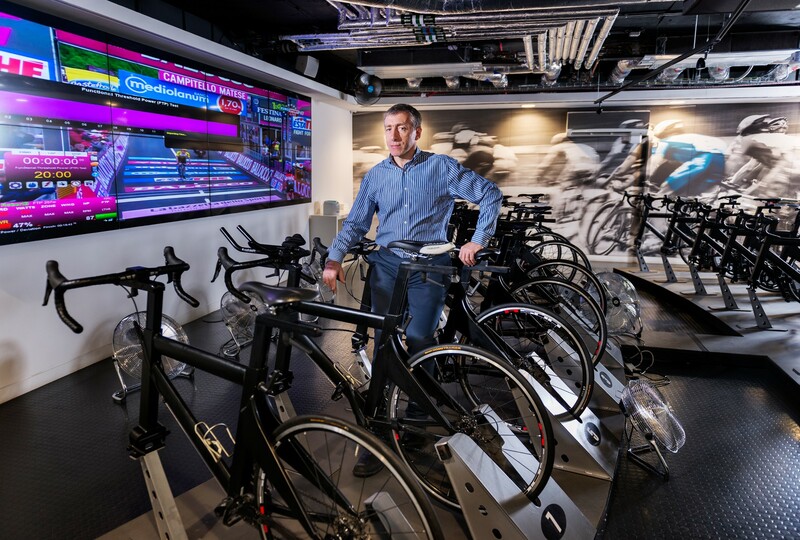 So Neil and his partner Mike Flynn decided to set up a studio that used road bikes in the studio, linked to masses of data. The differentiators here are key. They formed Athlete Lab with some specific aims. They saw the target audience as people largely like them, hard-working professionals who wanted to get fit and be competitive but who didn’t have much spare time. ‘Time crunched’ as the saying goes. 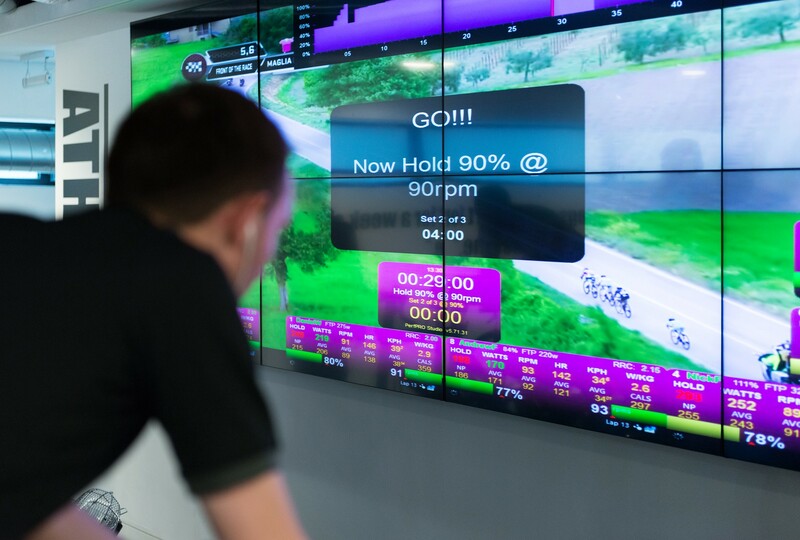 They also saw that spin bikes are useful for fitness but they work your body differently to a real road bike. And they knew that the users would want lots of data, lots of feedback, so they could improve. By this time, Mike Flynn had gone to live in Australia, so the pair decided to set up two studios, one in Sydney, one in Singapore. Specifically, they set them both up near to the business districts. Research shows that most office workers will walk a maximum of seven or eight minutes to get to a gym during the day — they don’t have the time to go any further. The studios worked. Athlete Lab took off, and they worked through their teething troubles, all the while thinking that they wanted to open in England. Then Neil’s life made that plan easier when his family relocated to England’s South East in 2012. 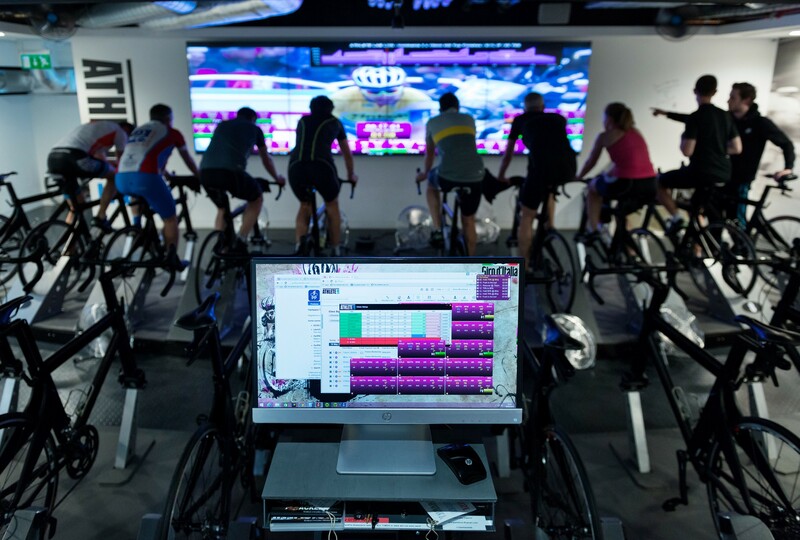 Athlete Lab London opened in 2014. More studios in London are planned in the next 18 months. So what has Neil learned from starting a business when some people would be simply enjoying an early retirement? Clearly, one aspect he’s not struggling with is doing it to earn a living. He’s doing it because he’s interested in the sport and he’s enjoying himself. But he’s aware that not everyone has that luxury. What insights would he offer for someone starting a business in their 40s or 60s? ‘I do think at our age — in our 50s — it’s a bit too late to go into debt in a business you’re not sure of. It would be better if you did nothing, live modestly off your money, rather than risk it on something you’re not sure is going to work. Naturally, many of his team are young, superfit and highly motivated. You’ll see the cycle coaches, the biomechanic coach, the strength and conditioning coach and others in the studio. But the man behind much of the training is the hard-bitten Aussie, Shane Sutton. 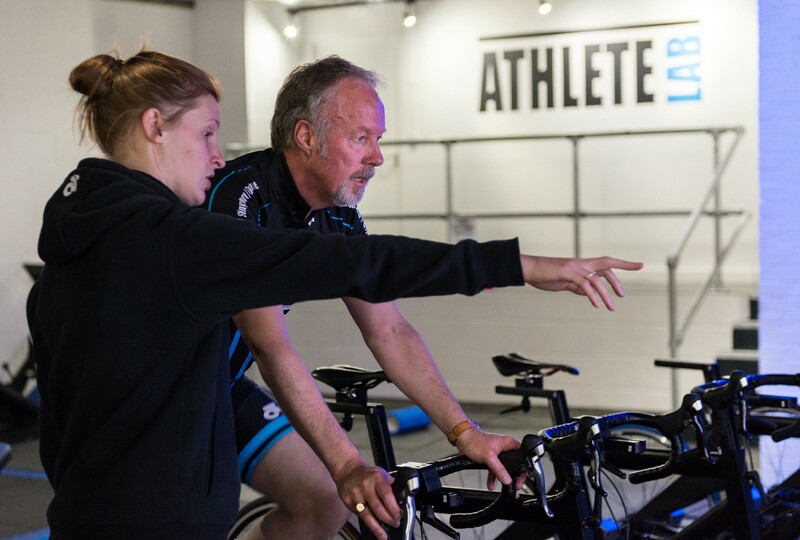 He too is in his 50s and you may have seen him on his bike badgering Bradley Wiggins up various mountain stages in training, when he was Team Sky’s Head Coach. Shane is now Head Coach of British Cycling. That’s quite someone to have around the Athlete Lab, advising and encouraging in his own granite-faced way. Neil Franks has built up a business and a brand quickly, aiming it squarely at busy sporting professionals but also not counting out the amateur cyclist — that’s a huge market to explore. He understands the clientele because he was one of them, and still is in many ways. That often seems to be an important point in those who succeed — they personally understand the market they’re catering for. One of the attractions of the cycling market is that it doesn’t end when you’re 32 or something. One future Neil sees is that more and more people are getting into sportives and triathlons later and later in life. Many of them will keep doing what they love into much later life. So he’s hoping to gain clients who are in their 20s and they could still be there in their 60s or 70s. That’s quite a business plan. Neil Franks is one of those wealthy and very disciplined people you occasionally meet. He’s clearly driven, talks precisely, and is extremely fit. The day before we meet at Athlete Lab he had done a 100-mile ride with a local club just for the fun of it. I’ve met plenty of wealthy people around his age who have let it all go and who retire to their club. He’s not like that. He doesn’t want to do the exclusive CEO invitation-only sportives and rides, he wants to ride with his local club, chatting to everyone, being sociable. And he’s not ready to stop any time soon. Some people dread the thought of retirement, some people make it work. It isn’t just an issue of money. I know one man who is retiring at 65 this summer. He’s filled with dread. He has money, a good home life, everything, but the prospect of retirement scares him hugely. Neil Franks, taking early retirement as it were, has created a second career, something that gives him pleasure and purpose. He is combining business with riding bikes and helping others get to their full potential. It’s a long way from sitting in a stressful trading room in Singapore for decade after decade. Given his commitment to keeping extremely fit, he should keep it all spinning for many more years to come.